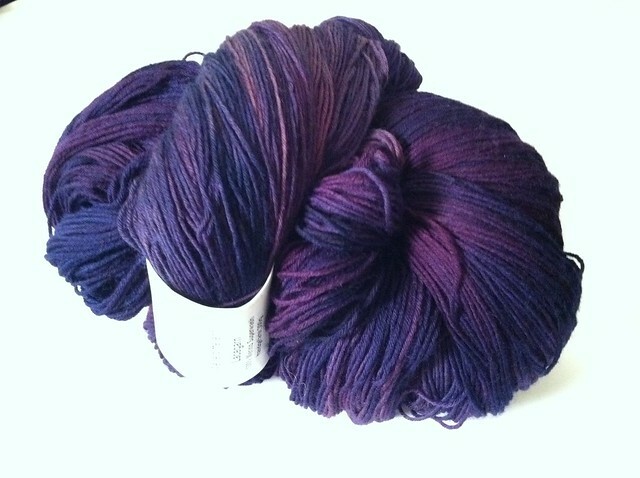 I'm going to swatch tonight for Versio, which I stumbled upon quite happily last night. 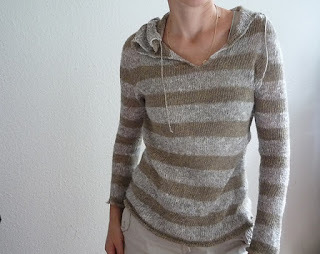 There's a modified FO that I just love, and I'll be using her modifications to create a similar sweater/tunic. One of the things I really like about this is the striping, which I will have to forego due to a lack of a secondary yarn color. I think it'll still turn out great as a solid! I'm not normally a swatcher, but the FOs are so different in terms of needle sizes, and I don't want to get way into the knit, only to realize that it's way too big or small. Also, I noticed there is a serious lack of laceweight sweater patterns on Rav! Crazy! Wow, that is really pretty and looks pretty versatile. We'll see how it ends up! I'm working on a video to talk about the sleeves, which are done with the contiguous method. I LOVE IT. Can't wait to show you guys.